Home » Root » How to Root Galaxy S8 / S8 Plus All Models SM-G950/955(F,U,N,W)? Chainfire has recently released the root files for latest Galaxy S8 / S8 Plus variants. CF-Auto-Root files now support Samsung’s latest smartphones which are running on Android Nougat. Rooting your Galaxy S8 / Plus will allow users to have admin or root level access to their Android device, giving capabilities to edit / remove / modify and customize the system level files. Samsung Galaxy S8 / Plus duo is packed with the latest technology, however, users may still want to tweak their Galaxy S8 / Plus to their own likings. If you are out of those geeky Android users, follow this guide for all the steps and download files to Gain Root access on Galaxy S8 / Plus with Android Nougat 7.0. Make sure to check out these instructions before getting into rooting your Galaxy S8 / Plus smartphone. Install Galaxy S8 / Plus Drivers on your Windows PC. Important Data Such as Contacts, Messages, Pictures & Videos need to be backed up. Enable Developer Options on your Smartphone through this process: Go to Settings > About Phone > Software info and tap for seven times to enable Developer options on your Galaxy S8 / Plus. You will get a “You are now a developer” message. Now you have to enable OEM Unlock on your Galaxy S8 / Plus. This is very important step, if you will skip it, you will face FAP Binary Blocked error. Go back to Settings and now you will see a new Developer Options menu. Tap on it and scroll down to find OEM Unlock; enable it. Make sure that your Samsung Galaxy S8 carries more than 70% of charge. Please read all the warnings from Chainfire before proceeding. Make sure you understand that your Galaxy S8 / Plus has a custom firmware flash counter, CF-Auto-Root will trigger it and that this process will void your device’s warranty. How to Root Galaxy S8 (SM-G950) with CF-Auto-Root? 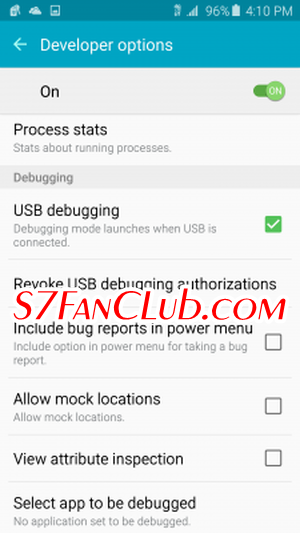 How to Root Galaxy S8 Plus (SM-G955) with CF-Auto-Root? Download Odin and extract it on your computer. Download The CF-Auto-Root Files as per your device’s model, from above links that and extract .tar.md5 file on the desktop which you will flash on your device to root it. Switch off your Galaxy S8 / Plus and enter into Download mode: Press and hold Volume Down + Bixby buttons simultaneously and then press the Power key until you see the construction Android robot sign. Press Volume Up key once to confirm. Now you are in the download mode. In ODIN, click on the AP / PDA button and select the extracted CF-Auto-Root .tar.md5 file. When the root process is successfully completed, you will get a PASS message and ID:COM will turn green. Once your device automatically reboots in the Recovery mode and install the necessary files, you will see the home screen. You can now disconnect your Samsung Galaxy S8. Note: In case your device gets stuck at boot screen after installation and doesn’t boot into recovery mode, you will have to do the entire procedure once again. In worst case, you can Flash Stock ROM of Galaxy S8 / Plus on your device. If you are facing any issues, make sure to let us know, in the comments section below and we will try our best to resolve your conflicts!! My Samsung S8 plus phone is suddenly displayed custom binaries not supported by FAP lock. Is there a way to recover the phone without losing the data?